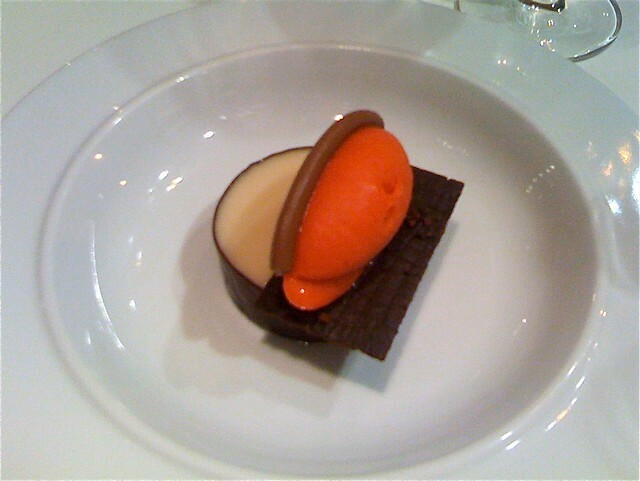 From the book I arrived at EspaiSucre website and found that it was created by Jordi Butrón and partners in 2000 the only dessert restaurant in the world. The idea was to create a new school of fine dining restaurant style desserts. Imagine how this sounded for someone like me, who is completely about desserts. Little dessert menu, The great dessert menu, Chocolate menu, Cheese menu, paring wines... I made a reservation. 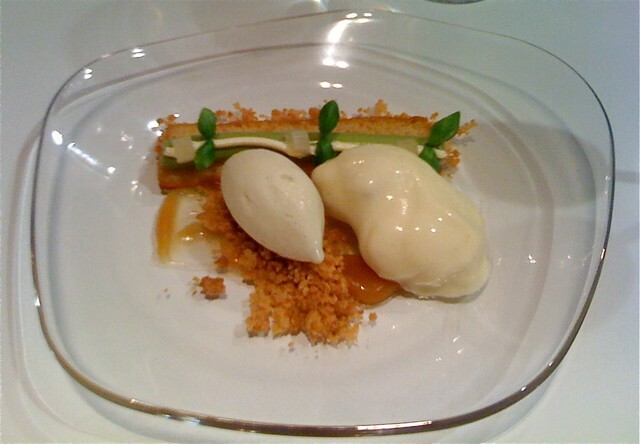 It was a great fit for the idea of our trip - to discover the new nouvelle cuisine, how it is done in Barcelona. At the beginning of the trip we went to Gelonch restaurant. It was our introduction into the world of degustation menus, micro dishes, exotic cooking techniques, known flavors and aromas in unexpected texture and visual appearance. We were lucky to have started from Gelonch. EspaiSucre would have been too tough an exercise for a complete beginner. Every dish was a challenge to understand. Each bite surprised. Many flavors seemed familiar, but we still couldn't identify them. And all of that - the space, the service, the food were filled with intense beauty and elegance. This is how it works. You pick one of degustation menus from their list. Apart from those I already mentioned they have two tasting menus, which also include savory food. We went for one Little dessert menu and one Great dessert menu. They do offer paring wines to every dessert, but you can also go for just one wine or avoid alcohol completely (have tea, coffee or some other drink instead). I went for pairing wines and didn't regret it. The maitre d' briefly introduced every dish, listing the flavors involved. Then it was our job to match the flavors to the components of desserts we found on our plates (sometimes we did succeed). 2. Extra virgin olive oil cake, white peach, green olive and "San Simón"
After these 2 hours at EspaiSucre we felt strange being back to the real world. Tired, puzzled... amazed. I could never think the food can be so powerful.